New research suggests that men who exercise vigorously as young adults may reduce their risk of developing epilepsy later in life. The study is published in the September 4, 2013, online issue of Neurology®, the medical journal of the American Academy of Neurology. 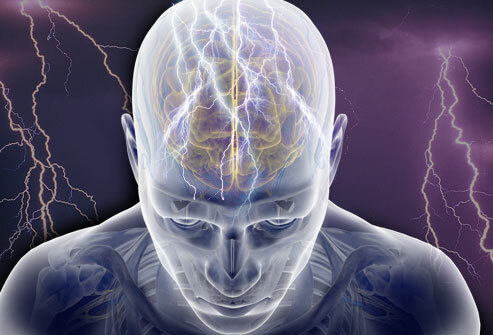 Epilepsy is a brain disease that causes repeated seizures over time. For the study, 1.17 million Swedish men were given cycle tests that measured cardiovascular fitness when they enlisted for mandatory military service at age 18. The participants were then assessed for epilepsy for an average of 25 years. During follow-up, 6,796 men were diagnosed with epilepsy. The study found that men who had a high level of fitness were 79 percent less likely to develop epilepsy than those with low fitness levels and 36 percent less likely to develop epilepsy than those with medium fitness levels. The proportion of men with high fitness who developed epilepsy in the study was 0.48% (2,381 out of 496,973 with high fitness). The proportion of men with medium fitness who developed epilepsy was 0.62 percent (3,913 out of 629,876 with medium fitness). The proportion of men with low fitness who developed epilepsy was 1.09 percent (502 out of 46,230 with low fitness). Epilepsy is not a single entity but a family of more than 40 syndromes that affect nearly 3 million people in the U. S.and 50,000,000 worldwide. Epilepsy strikes most often among the very young and the very old, although anyone can get it at any age. In the U.S., it currently affects more than 326,000 children under age fifteen and more than 90,000 of them have severe seizures that cannot be adequately treated. The number of cases in the elderly is beginning to soar as the baby boom generation approaches retirement age. Currently more than 570,000 adults aged 65 and above in the U.S. have the condition. Epilepsy imposes an annual economic burden of $15.5 billion on the nation in associated health care costs and losses in employment, wages, and productivity. The mortality rate among people with epilepsy is two to three times higher than the general population and the risk of sudden death is 24 times greater. “Exercise may affect epilepsy risk in two ways. It may protect the brain and create stronger brain reserve, or it may simply be that people who are fit early in life tend to also be fit later in life, which in turn affects disease risk,” Ben-Menachem said. The study was supported by Märtha Lundqvists Stiftelse, Wilhelm and Martina Lundgrens Stiftelse, the Sten A Olsson Foundation for Research and Culture, the Swedish Research Council for Worklife and Social Science (FAS), the Swedish government under the LUA/ALF agreement for biomedical research and the Swedish Medical Research Council. Early in the 19th century, people with severe epilepsy were cared for in asylums, but one of the reasons they were kept separate from psychiatric patients was because of the misconception that seizures were contagious. - Everyone is born with a seizure threshold. If your threshold is high, you are less likely to have a seizure. However certain activities or things, known as triggers, can lower your threshold, such as drinking alcohol, sleep deprivation, stress, illness, flickering lights and hormones (for women mostly) can have an impact on your seizure threshold. - Only in about 30% of cases is the cause of epilepsy determined. The other 70% remain unanswered, in what is referred to as idiopathic epilepsy. 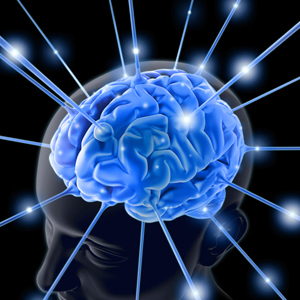 - About 1 in 20 epileptics are sensitive to flickering light, or photosensitive epilepsy. The contrast, or change in light, can trigger a seizure.